Paiste 505s were a budget line of cymbals made in Switzerland by Paiste in the late 70s and early 80s. However, if you’ve ever heard a 505 you’ll quickly realize just how special these cymbals actually are. They do not sound like a budget line at all, and in fact, they’re not even made like a budget line. The hammering and lathing on the 505 line is nearly identical to the famous 2002 line. Paiste made them less expensive by making them slightly thinner than the 2002s. This gives them a bit of a darker, lower pitched sound than the 2002s. But they still have that beautiful Paiste spread. I have a 20″ green label 505 ride. This cymbal sounds absolutely gorgeous to me. There’s a nice stick definition that has that distinct paiste sound, but there’s also a full dark wash that sits underneath, and it also has a beautiful and controlled sounding crash when you lay into it. Check out my song below of the FB-01 and Drums. I play on the 505 ride throughout the whole song. 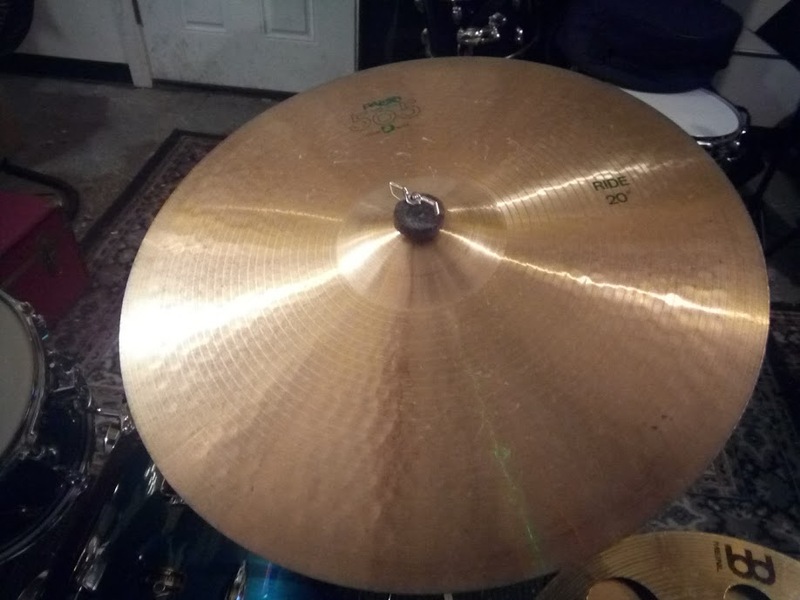 This entry was posted in drums and tagged paiste 505, paiste 505 18 crash, paiste 505 cymbal collection, paiste 505 cymbals, paiste 505 ebay, paiste 505 for sale, paiste 505 hi hat, paiste 505 medium, paiste 505 ride, paiste 505 vs 502 on November 15, 2017 by DemonicSweaters.